As of July 1, 2016, the historic 450-room Fairmont Olympic Hotel has finished its 25 million dollar renovation of all guestrooms and corridors. The renovation began in December of 2015 and stayed on schedule for the originally set completion date. Seattle is in the midst of a hotel renaissance, says General Manager Markus Treppenhauer. We are currently one of the fastest growing hotel cities in America, with thirteen hotels and over 2,300 rooms either under construction or in development within the downtown Seattle area. This is an exciting time for Seattle, and we here at Fairmont Olympic are thrilled to be establishing ourselves as the top luxury hotel option in the city. 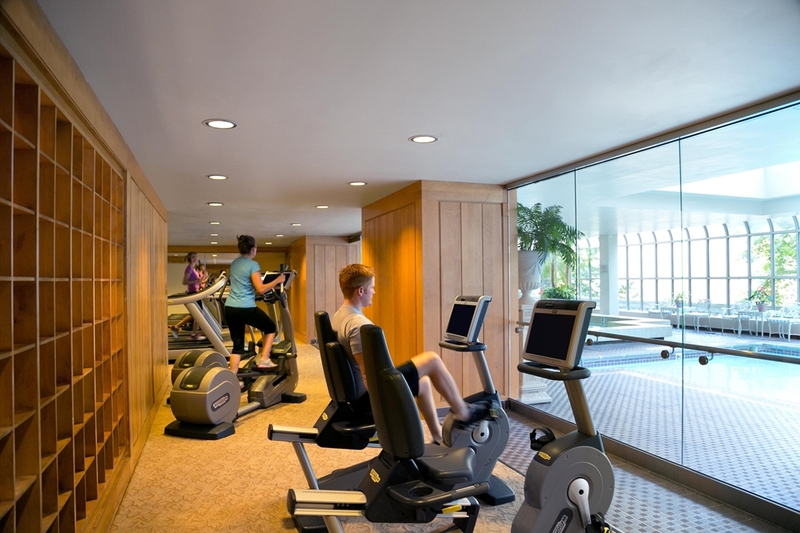 Fairmont Olympic Hotel brought on Parker-Torres Design Inc. for the renovations. This was Parker-Torres third Fairmont property, following the renovations of the Fairmont Copley Plaza in Boston and Fairmont Southampton in Bermuda. The goal was to create a classic interior with a modern twist, tipping its hat to the 91 year history of the hotel, says Barbara Parker, Principal for Parker-Torres Design Inc. We used grey tones and tourmaline accents, inspired by the natural colors of the Puget Sound, to create a current and timeless ambience in the guest rooms. The mid-century modern decor boasts elegant sitting areas with lavish couches and wing chairs, opulent marble bathrooms and of course Fairmonts classically plush beds. Rooms feature contemporary artwork that abstractly showcases Seattle and the Puget Sound. We wanted the rooms to feel like Seattle, says Director of Sales and Marketing Victoria Dyson. Often you walk into a city hotel and you could be anywhere, our goal was to have subtle color tones and artwork that makes you feel a sense of the area. This renovation is the largest that the Fairmont Olympic Hotel has seen since 1982 and is inviting guests and visitors of Seattle to Flirt with the past, while falling in love with the future. 4th Ave Espresso Bar: Located in our lower lobby, 4th Ave offers a place for both aficionados and explorers to enjoy great coffee and homemade sweet and savory bites and delights. Start your morning at 4th Ave and Go Fourth and conquer your day. In-Room Dining: Enjoy a broad menu including selections for breakfast, lunch, dinner, dessert, late night, large parties, as well as options for children-- there's something for every appetite and occasion. Overnight Dining menu is available from 11:30pm - 5:30am. The Fairmont Olympic Hotel is located in the heart of downtown Seattle - near the main financial and retail districts. The hotel is within walking distance of the Convention Center - Pike Place Market - Seattle waterfront - Westlake Center - Monorail to Seattle Center - Pioneer Square - Belltown - 5th Avenue Theatre - Seattle Art Museum - Benaroya Hall (home to the Seattle Symphony) and Pacific Place - site of high-end retail shops and an extensive cinema. Century Link FieldHome of the National Football League (NFL) - Seattle Seahawks team. Chihuly Garden and GlassLocated just beneath the Space Needle, Chihuly Garden and Glass traces the art and career of world renowned glass artist Dale Chihuly. Event CalendarJoin us for unique experiences and to make lasting memories at one of our upcoming events here at The Fairmont Olympic Hotel. International DistrictHead south of the downtown core and you will discover Seattle*s International District, rich with authentic eats, captivating cultural experiences and intriguing shopping. MoPop MuseumThis stunning building, designed by renowned architect Frank Gehry, is located at Seattle Center. The MoPop formerly the EMP is dedicated to the ideas and risk taking that fuel contemporary popular culture. Pacific PlaceThe newest downtown shopping centre, which neighbours the Nordstrom flagship store, offers high-end stores like Tiffany, Max Mara, BCBG, J. Crew, Nicole Miller, Bose, William-Sonoma and Pottery Barn. Pacific Science CenterWith five buildings of hands on science exhibits, a delightful and informative tropical Butterfly House, two IMAX theaters, Pacific Science Center is one of the citys gems that is perfect for all ages. Pike Place MarketOpen year round, this is Seattles most iconic attraction. Aisles of gleaming fruits and vegetables, tables overflowing with fresh floral bouquets, and booth after booth selling all manner of locally made jewellery. Pioneer SquareLaying claim as the city*s first neighborhood, Pioneer Square is a richly historic place known for its Renaissance Revival architecture, First Thursday art walks, night life, delicious lunch spots. Rainier SquareDowntown Seattles first shopping centre, built in 1977. Rainier Square is comprised of the Skinner Building - Cobb Building - IBM - Financian Center - Puget Sound Plaza and Rainier Tower. Safeco FieldHome of the National Baseball League, Seattle Mariners team. Seattle AquariumThe Seattle Aquarium features a stunning viewing window that looks into a 120,00-gallon aquarium filled iwth salmon, colorful rockfish, vibrant sea anemones, and other native Washington marine life. Seattle CenterSite of the 1962 Worlds Fair and home to the Space Needle, Pacific Science Center, Childrens Museum, Seattle Repertory Theater, Seattle Opera, Pacific Northwest Ballet, and amusement park rides. Seattle Great WheelThe Seattle Great Wheel sits 175 feet above Pier 57 and extending nearly 40 feet over Elliott Bay. A view from the top offers sweeping panoramas of the city skyline as well as Elliott Bay and Olympic Mountains beyond. Gondolas are fully enclosed. Skinner BuildingPart of Rainier Square - Skinner Building is home to the 5th Avenue Theatre, the historic landmark that showcases musicals performed by Broadway and Hollywoodstars. Smith Cove Cruise Terminal Pier 91 CruiseSmith Cove is home to Carnival, Celebrity Cruises, Holland America Line, Princess Cruises and Royal Caribbean International. Space NeedleThe Space Needle is the recognized symbol of Seattle. The tower stands 605 feet tall and boasts fabulous 360 degree views of Puget Sound, Mount Rainier, the Cascade and Olympic mountain ranges and, of course, the beautiful city of Seattle. The Family of Seattle Art MuseumsLocated in downtown Seattle on the corner of First and University, the Seattle Art Museum presents items from its collection as well as traveling exhibits.